Poo is never really top of the acceptable chit chat list, except that is, on World Toilet Day. So Slovenian inventor Ales Rajster is understandably keen to use today, poo’s only day of the year, to raise funds for his Rainflush toilet tech. Flushing away yesterday’s breakfast, lunch or dinner wastes the most water out of anything you do in your home, representing a whopping 31 percent of all usage. If you’ve got an older toilet system, every single sayonara you say to a sample takes 3.6 gallons (13.6 liters) of water, the equivalent of almost 14 standard bottles of coke getting tossed straight down the drain. 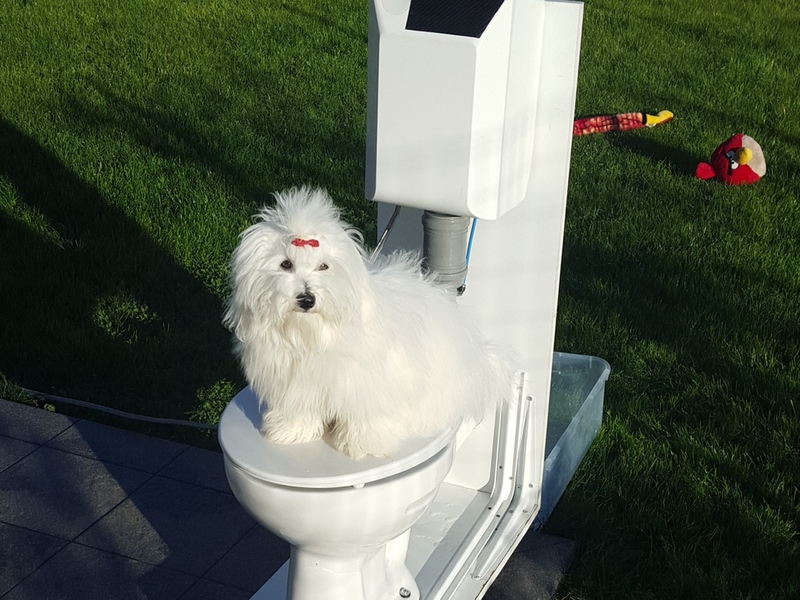 Rainflush uses the existing pressure in your plumbing to compress the air as you flush, taking just seconds and less than a gallon of the good stuff to get rid of your waste, even if you’re trying to… shift a heavy load. This means it uses up to 90 percent less water than common dated toilets, and even beats modern high-efficiency systems by as much as 50 percent. It’s so fast, in fact, Rainflush likes to think of itself as a poo teleporter. Inventor and plastics specialist, Rajster is looking to raise $50,000 for tooling up and localising production for two different efficiency systems. To get your (hopefully washed) hands on one of these, pledges start at $149 for the ‘fit and forget’ basic Model T system, while the Model E, which replaces your entire water tank, costs $199. The first of these units are expected to ship in June next year. And if the the campaign gets 3,000 $5 backers in time, the team will build an app in early 2016 that will (oddly) curate videos of people installing the system, while offering 3D-print ready files for its products and DIY cover designs. Rajster is hoping that people in areas like California will be keen to get their hands on his invention, given that the state is now experiencing its fourth year of drought. Although toilets might not seem like a luxury innovation to many, one in three of the world’s population doesn’t even have access to one yet. The official UN World Toilet Day campaign hastag is #WeCantWait, which hopes to highlight and mobilise action to help the 2.4 billion people who don’t have proper access to sanitation facilities. If you’re interested in how you can use even more of the internet to make your bowel movements better, you can find a top five stool tracking list here.